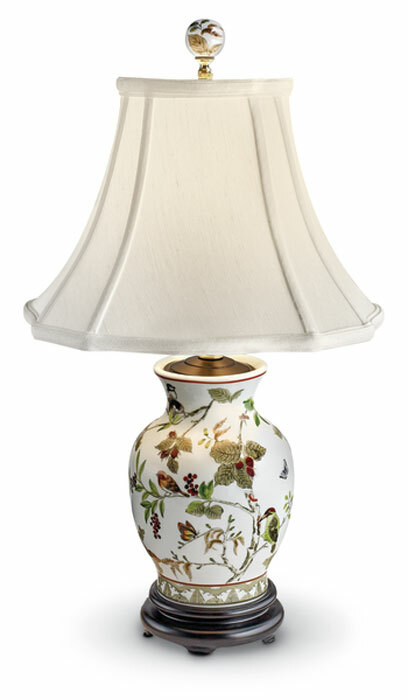 Hand-painted birds, butterflies and berries adorn our porcelain lamp with wood base. The jar lamp (6.6”DIA. x 23”H) uses a 100W max, type B bulb (switch on neck).